The afterglow of a female winterberry is a welcome sight on November evenings as we begin our descent into winter's darker days. 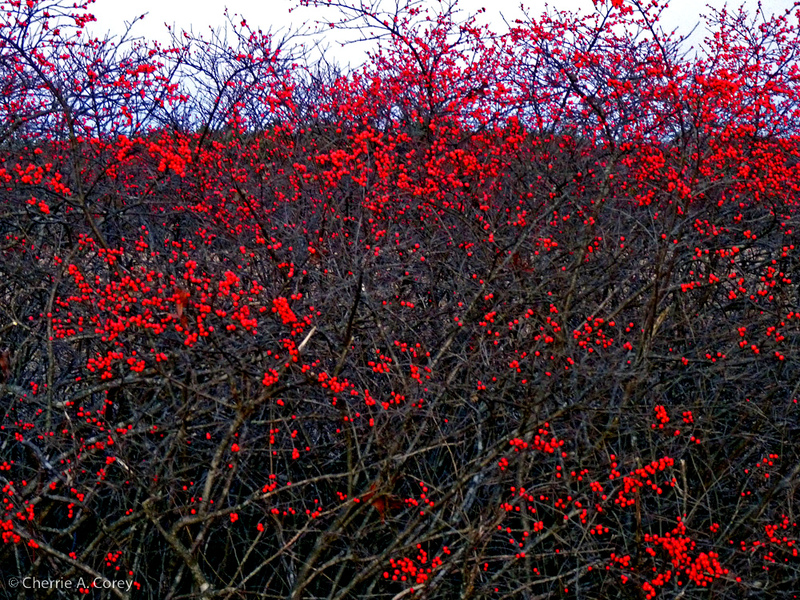 Winterberries, a member of the Holly family, inhabit bottomlands, swamps, and bogs in the Concord area. Watch for the added touch of color as bluebirds and robins dine on these berries in the late fall and early winter months. Thanks for these views into the natural world around us.